Like all countries, we come with a lot of baggage when celebrating our heritage - our ancestors weren't always gleaming pioneers that built a better world for future generations. This is especially true for South Africa's Afrikaners - a minority that for centuries oppressed the majority through language, cultural and physical methods. As an Afrikaner myself with a family history that stretches back to the 16th century in South Africa (the lineage on my father's side is weirdly well-documented), it can sometimes be hard to find a place to be proud of your culture while always faced with the dark side of your heritage - the effects of which still permeate in today's 'Rainbow Nation'. We should never be blind to the past and step up to the privilege that stems from the deeds of our ancestors, but there are a few places where you can connect with your past without being weighed down by the bad - and many of these sites have even stepped up to be more inclusive of the wider South African experience, because not all Afrikaans-speakers are white. Here's a list where you can indulge in your Afrikaans heritage responsibly. However, waving the old South African flag around is not 'heritage'. In Ryneveld Street, you can travel back in time to when Stellenbosch was established and see how the Afrikaner ancestors lived in four beautifully restored Cape Dutch houses built in the 18th century. The interiors are designed to look like what it would have looked like between 1680 and 1877, each house representing a different era from the pioneer days to its later opulence. The houses are the Schreuderhuis, Blettermanhuis, Grosvenor House and the OM Berghuis - named after their original owners. They are surrounded by classic gardens that you can also stroll through, and you can enquire at the main museum headquarters about guided tours. 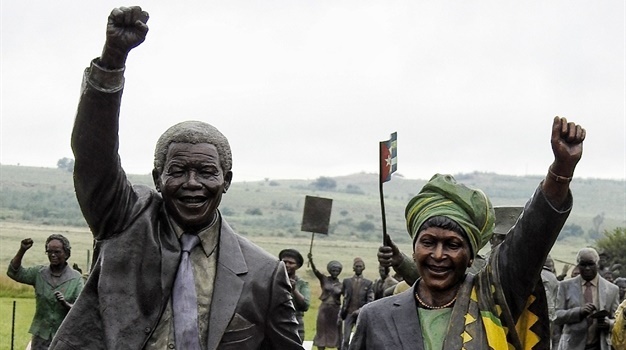 The Taal monument looks at celebrating the Afrikaans language and the languages that it was rooted from. The entire monument comprises of pillars and structures that symbolise one of the root languages for Afrikaans. The three column structures (reaching 13.5 metres in height) that welcomes you to the monument symbolise the European languages that have contributed to Afrikaans - this includes: Dutch, Portuguese, German and English. No single column represents a specific language; the number three was used because it is indivisible. The curves of the structure that meet to form a bridge grabs its inspiration from the author NP van Wyk Louw and symbolises the fusion of these languages that span across the continents. The tallest structure - the spire of the monument, which sits steady at 57 metres tall stands to depict the growth of Afrikaans and it is also known as the 'rapidly increasing curve'. The curve was inspired by author CJ Langenhoven and is open at the top to indicate the continued growth of the language. There are few places in South Africa as off the grid as a 4x4 drive down Gamkaskloof - also known as Die Hel - where the road ended up being the demise of a century-old community. In 1830, settler families descended into the inaccessible kloof for its fertile valley on the banks of the Gamka River, and became a self-sustaining community for over a hundred years. While there's no official story on how the name Die Hel got stuck, its origin is not as devilish as you might think. Most of the settlers were Dutch and 'helling' means incline, thus the name rather referred to its steep hills rather than a certain hot place. Donkeys were the only form of transport at that time, until a petition was made to the government to build a road, and only in 1962 did Gamkaskloof gain its link to the outside world. This newfound freedom from the kloof also meant that the children and young people of the isolated village gained the opportunity to go to school and work in bigger towns, and slowly Gamkaskloof emptied out. Today, it falls under the management of CapeNature's Swartberg Nature Reserve, who has renovated the abandoned cottages into self-catering units for those willing to tackle Die Hel 4x4 road. The old school, cemetery and old Norse watermill are also still around to bring to life a forgotten history of the Kloovers. 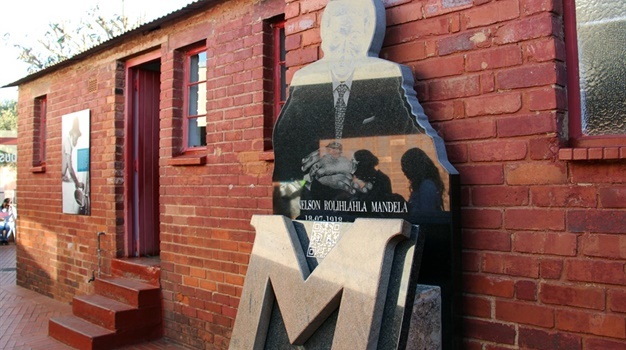 The site has many attractions, including the Communion Wagon, a museum filled with Voortrekker memorabilia and scale model replica of the Trek Monument in Tanzania, where some Afrikaners settled after the Anglo Boer War. Set in the heart of what was once known as the Boer Republic, the Anglo Boer War Museum provides an understanding of this tumultuous period in South African history between 1899 - 1902.